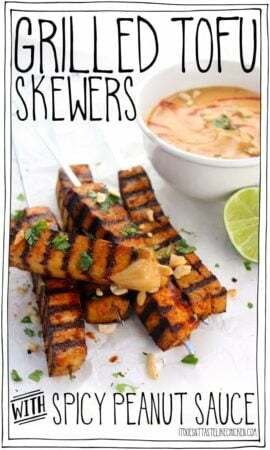 Grilled butternut squash!? Yes, grilled squash. It is just as delicious as it looks too. 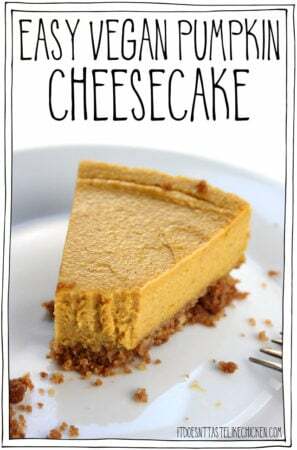 Not that I am against roasting squash or anything, because I’m totally not, I’m just all for finding as many ways to enjoy squash deliciousness as possible, and this is my new fave. 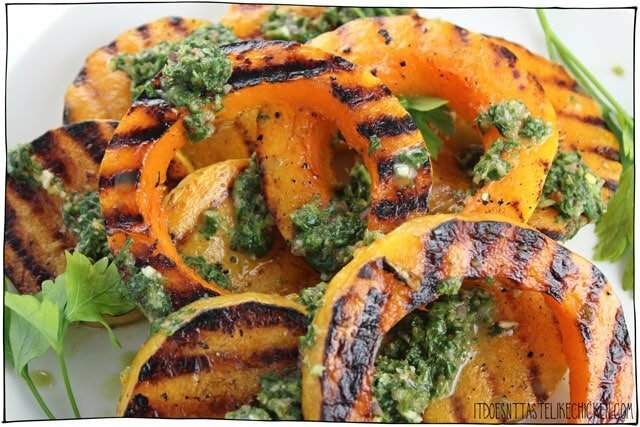 Grilling squash brings out the flavours in a whole new way. Why do grill marks make food look and taste sooo good? Not only is it beautiful to look at (and to devour), but I love grilling squash because it’s a pretty quick way to cook it. Just peel, thickly slice, and grill for about 4 minutes per side. 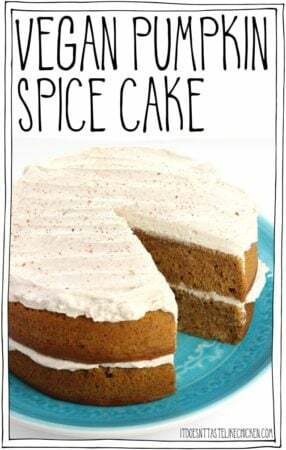 A recipe that’s easy enough to make on a weeknight, but that happens to be gorgeous enough to look like the centerpiece for a holiday feast! But wait there’s more! 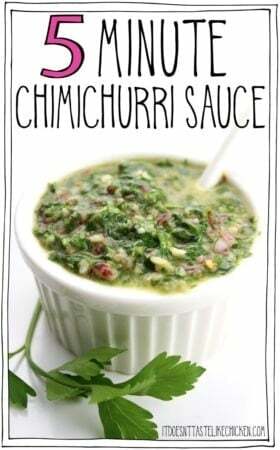 Did you notice that green saucy deliciousness called chimichurri? 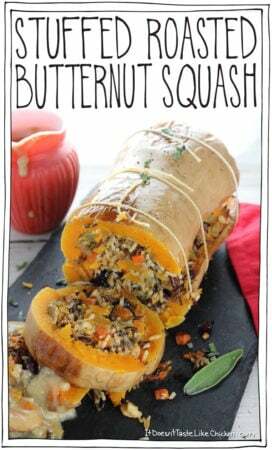 It is jam-packed full of fresh zesty deliciousness taking this butternut squash up a few levels or awesomeness. BUT if you’re not feeling the chimichurri vibe, you could always serve the grilled butternut squash alone seasoned with a bit of salt and pepper, or with any other sauce you think might pair well. 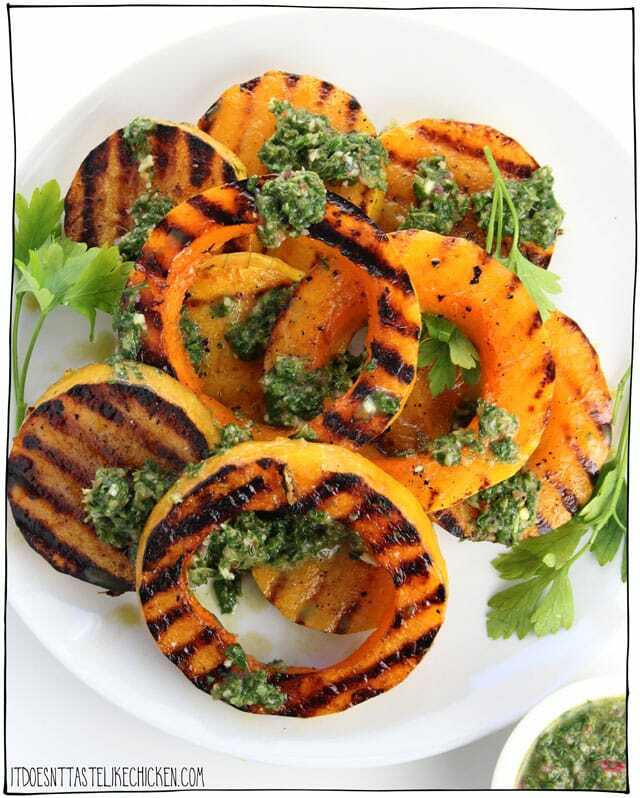 To make Grilled Butternut Squash with Chimichurri Sauce: prepare the squash, use a potato peeler to remove the skin. 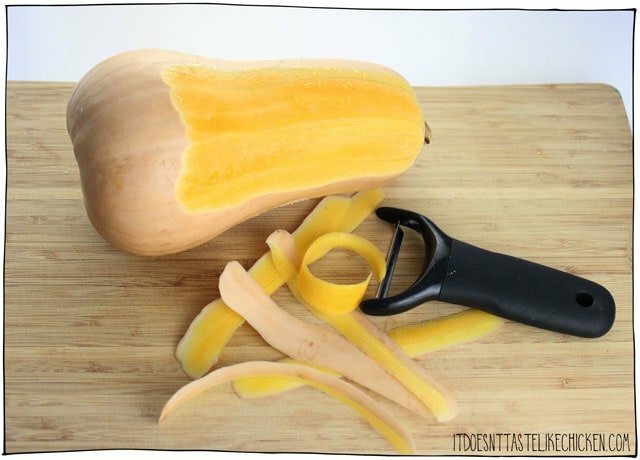 Cut off and discard the ends, then carefully cut the squash into 1/2 inch slices. 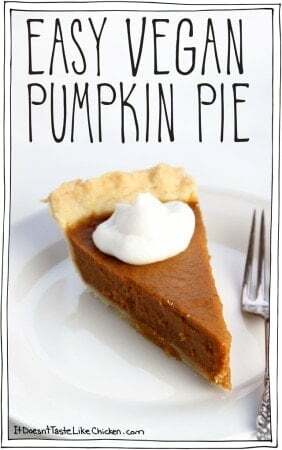 For the slices that have seeds, use a spoon to remove and discard the seeds and guts of the squash. Brush olive oil on both sides of the squash. Heat a BBQ or grill pan over medium-high heat. You could alternatively use a frying pan if you don’t have either, you just won’t get the pretty grill marks). 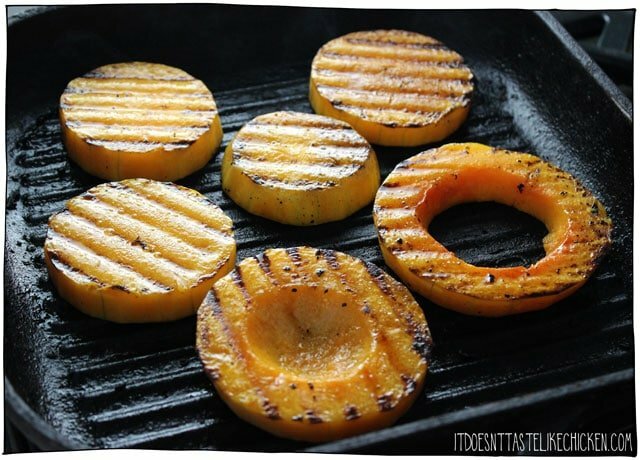 Grill the butternut squash slices, covered, for about 4 – 5 minutes per side until grill marks are formed and the slices are fork tender. You may need to do this in batches. Quick & easy enough to make on a weeknight but looks like the centerpiece for a holiday feast! Inspired by From the Kitchen of Yamchops cookbook, Simply Recipes, and Taste of Home. To prepare the squash, use a potato peeler to remove the skin. 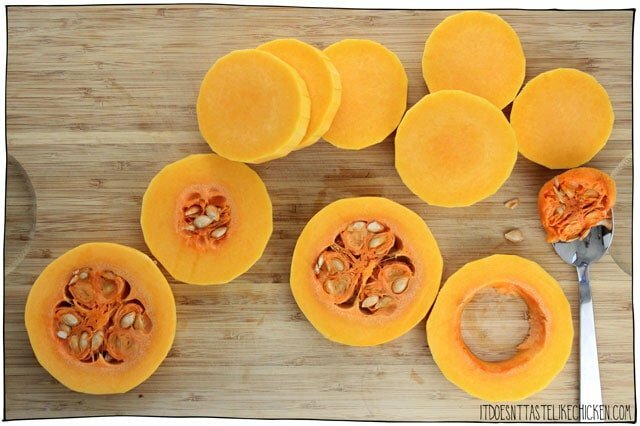 Cut off and discard the ends, then carefully cut the squash into 1/2 inch slices. For the slices that have seeds, use a spoon to remove and discard the seeds and guts of the squash. Brush olive oil on both sides of the squash. Heat a BBQ or grill pan over medium-high heat. You could alternatively use a frying pan if you don't have either, you just won't get the pretty grill marks). Grill the butternut squash slices, covered, for about 4 - 5 minutes per side until grill marks are formed and the slices are fork tender. You may need to do this in batches. 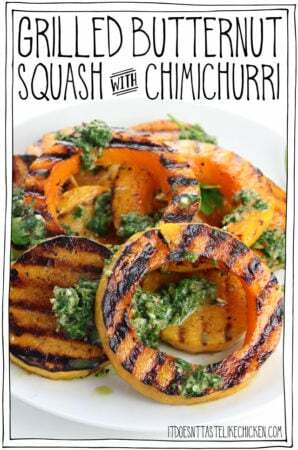 Serve the butternut squash hot, spooning over the chimichurri sauce to taste. 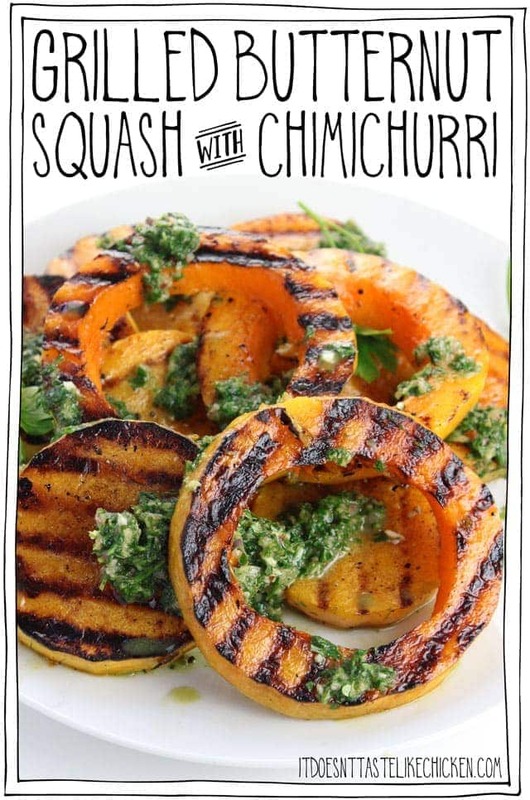 You could also sub the chimichurri for other sauces you enjoy or even just some salt and pepper on the butternut squash for a simple side dish.